Florida is a fantastic place to live. The sunshine welcomes one and all for a pleasant time year-round. However, the state offers some unique challenges for residential and commercial property owners. The tropical climate and humidity tend to boost the growth of mold and algae. Not to mention, there is a lot of buildup of grime and dirt on property exteriors. This muck can reduce the value of your home, discourage customers from entering your store, and also lead to significant damages if left unattended. 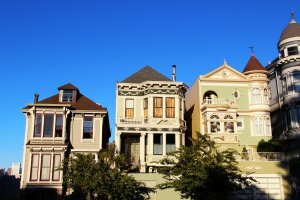 What Should You Do to Protect Your Property? Rather than ignoring the dirt, grime, or algae on your roofs, storefronts, or driveways, take action ASAP. At Peter’s Pressure Washing, we always tell our customers to call us when they notice the first signs of damage before it is too late. For instance, if you see black stains on your roof, give us a call for a quick soft-pressure cleaning. If you wait too long, it can lead to permanent damage, which can require costly replacements. Our services are specifically designed to ensure your property’s best care. Also, we use products that are safe for the environment and yet, strong enough to tackle stubborn stains, rust, and algae. 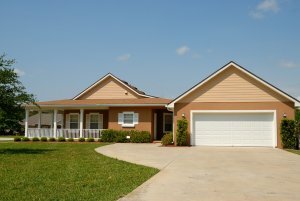 Due to heavy foot and vehicle traffic, driveways and walkways around your home can accumulate dirt and grime. When you start noticing tire marks, oil stains, and dirt on your paths, it’s time to call in the experts. When you ignore these stains for too long, they can become permanent and unsightly. Besides, it will reduce the value of your property and diminish your curb appeal, too. Don’t worry! One phone call can change the appearance and destiny of your driveways and walkways. With Peter’s Pressure Washing, you get access to expert technicians, professional equipment, and trusted cleaning services at affordable prices. Black stains aren’t just unappealing; they can be harmful, too. Coupled with algae and mold, they can lead to lasting damage to your shingles. 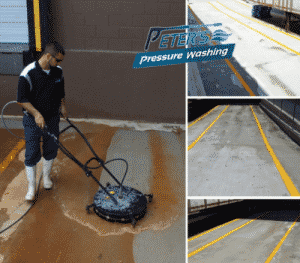 With Peter’s Pressure Washing, you can give your roofs a renewed lease on life! Our low-pressure cleaning techniques protect your roof throughout the cleaning process. We use the best bio-degradable products and solutions that are safe for your property and your family. Above all, our high volume rinsing cleans all the buildup of dirt and other bacteria. 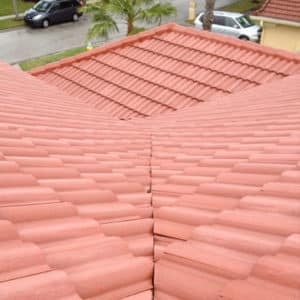 The result is long-lasting, clean, and safe roofs that also reduce your energy bills. Rust is a common problem for both residential and commercial property owners in Tampa Bay. It occurs as a result of oxidization or leaking battery acid, radiator dip, or fertilizer overspray. Rust is not just ugly to look at, but also causes severe damage to your property. At Peter’s Pressure Washing, our experts will first analyze the source of the rust stain and determine the right course of action. We advise against off-the-shelf rust removers, as they might contain harmful chemicals and can lead to permanent surface damage. Our services ensure that we protect your surfaces at all costs while doing our best to get rid of the rust stains for good. You can choose our rust removal services when you’re getting your home ready for an upcoming event or party. We also offer one-time and periodic cleaning services for rust stain removal. First impressions are often lasting impressions. For this reason, we bring you premier cleaning services to keep your commercial property looking fresh, sparkling clean, and welcoming. Say goodbye to all the dirt, graffiti, algae, and mildew on your building exterior. Our team comes equipped with professional-grade equipment to resolve all your problems. Whether the rust is making your property look worn out or the parking lot needs a good cleaning, we’re always there for you. Call us for a power washing session, and we will transform your building in no time. In the past, we have cleaned properties between 50,000 to 150,000 square feet in a single night! No matter how stubborn your building stains, we have the expertise and knowledge to get rid of them forever. We also specialize in paver sealing, travertine sealing, gutter cleaning and whitening, window cleaning, and paver stripping and restoration. Let’s add new life and shine to your spaces!